Lately I’ve been Yelping the heck out of my phone since college move-in is just around the corner (well if you consider a little less than a month “around the corner”). Actually, scratch that. Yelping the heck out of my phone would be an understatement. The poor iPhone is continuously burnt out from its increasing data coming from the Yelp app as I type “vegan” and “curry” and “Asian supermarkets” near “San Luis Obispo, CA” over and over again! Hey, college life off-campus is just so exciting! with all the foodie places nearby! Speaking of which, the summer clock is ticking wayyyyyy faster if you ask me. It’s still unreal that in four weeks I’ll be living on campus as a freshman! Since I am living in a double apartment, I’m blessed to get a head-start on learning how to purchase my own groceries, which is actually super exciting for me because I can still cook on campus! So yes, recipes will still be coming your way even while I’m in school! On the other hand, I guarantee you they’ll look way less aesthetic. I should warn you to get some blinding sunglasses, but I’m talking that the blog photo reel may transition from this to this. Ouch. But anyways, let’s talk about summer because it is coming to a close. It’s extremely sad because there are so many incredible kinds of dishes that come with summer! 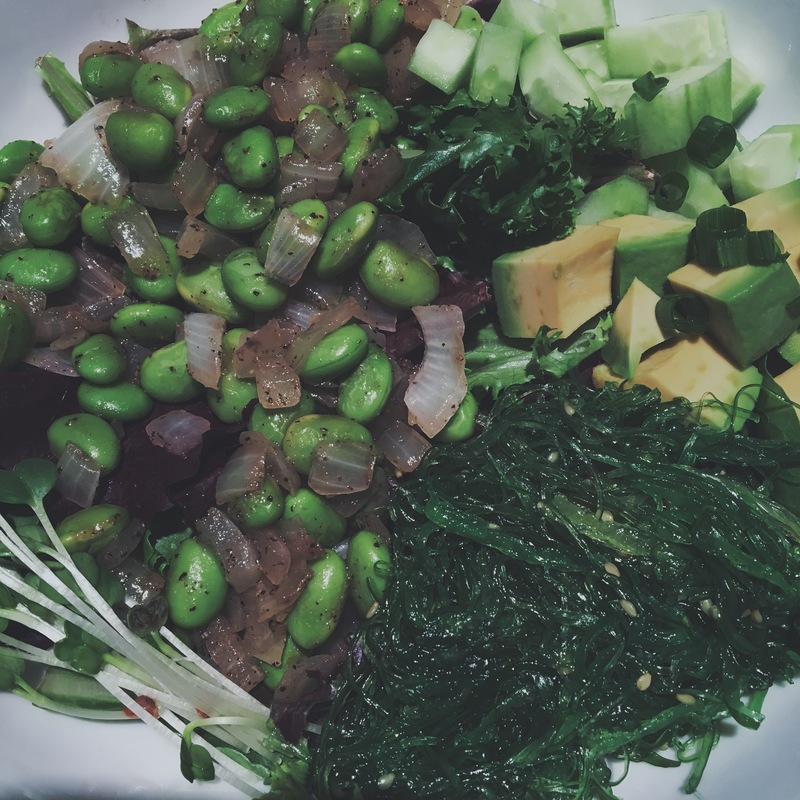 Smoothies, salads, barbecues, but one of my absolute favorite kind of summer dishes to have on a sunny day, or really any time of the day, is a poke bowl. They are probably hands down one of my favorite out-and-about meals to enjoy! There is something about the bursting Polynesian flavors from the ahi tuna, salmon, seaweed, jalapenos and combinations of sauces that I will never get tired of. On an even better note, the possibilities for them are endless! You can add rice, no rice, tons of greens, no greens, a whole avocado, a whole onion, pretty much anything authentically Polynesian that you’d desire. Now since I haven’t been eating seafood for my plant-based transition, I know that I’ll have to seek out another option for protein because let’s be real: greens doesn’t have an adequate enough of an amount for satiation. You’d probably have to eat three heads of lettuce to feel satisfied, and who serves three heads of lettuce at a poke bar? But I have the ultimate solution: Dee. Eye. Why. Okay, that was absolutely terrible, but if you got the message, basically we’re talking DIY poke bowls that you can make in your very own kitchen! All you will need are several options for a base, various sauces that are true to the Polynesian-style of the poke, several options for a healthy fat, a lean protein, and tonsssssss of vegetables and other toppings of your choice. Assemble anything you’d like and voila: deliciousness is served! And obviously, if you are not a vegan or a vegetarian, feel free to use any sashimis of your choice such as albacore, ahi, salmon and/or yellowfin. 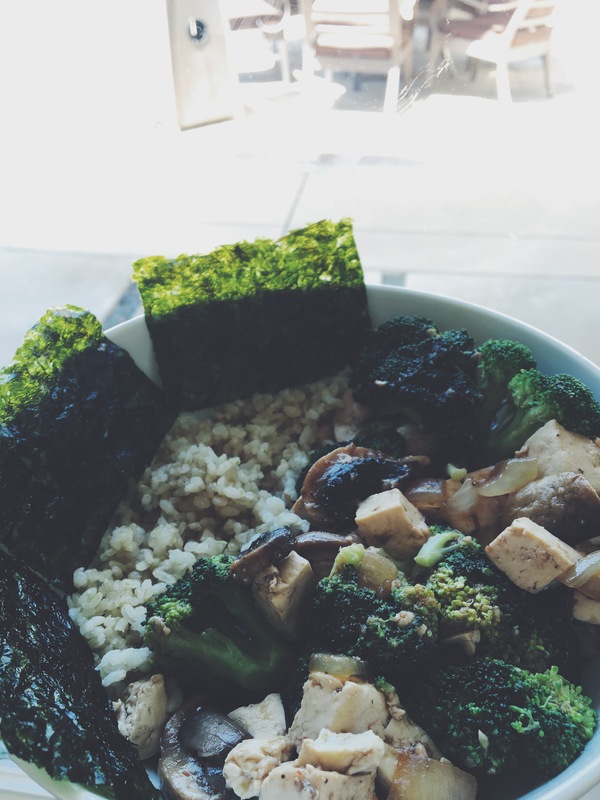 One base: mixed greens, kale, spinach, brown rice, jasmine rice, sushi rice, wild rice, black rice, quinoa, etc. ; you can also mix some greens and grains together for a rice salad base! Sauces of choice: low sodium soy sauce, ponzu sauce, teriyaki sauce, vegan fish sauce, vegan oyster sauce, rice vinegar, etc. One healthy fat: avocado, sesame oil, olive oil, etc. One vegan protein: organic non-GMO firm tofu, organic non-GMO edamame, tempeh, soy fish, etc. Vegetables of choice: seaweed, cucumbers, bell peppers, pickled onions, pickled cabbage, carrots, mushrooms, etc. Additional add-ins: pineapple, mango, orange slices, pickled ginger, alfalfa sprouts, green onions/scallions, Nori, etc. Garnishes: sesame seeds, coconut flakes, crushed red pepper, roasted garlic, cilantro, jalapeno, wonton crisps, etc. 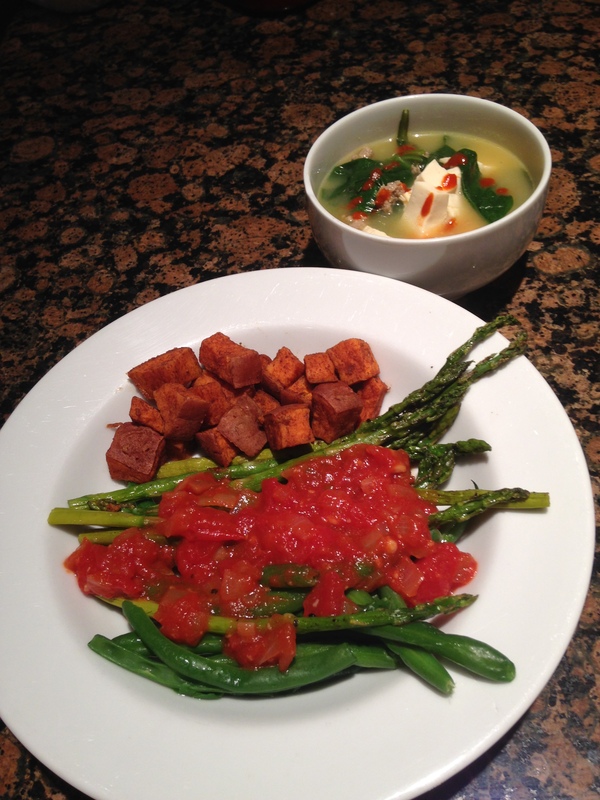 Assemble your base, protein, vegetables, sauces, fat and garnishes in separate bowls. Mix the sauces thoroughly and gently pour over your protein of choice, stirring in the sauce carefully to not break anything. Gently place the protein on top of the base. Repeat step 3 with your healthy fat, vegetables and additional add-ins. How often do you use Yelp? What are your favorite poke bowl toppings?